At the end of last year I wrote a blog post about a book in which Sheila Jasanoff asks ‘Can science makes sense of life’. She answers this question in a rather bleak and negative way. However, questions about the nature of science and the nature of life have stayed with me ever since, which is a positive outcome. A few days ago I was looking at Kevin Mitchell’s tweets. Like many others, he had been drawn into the #BookCoverChallenge and I was curious to see what books he had selected. I saw that one of his chosen books was Charles Waddington’s The Strategy of Genes and I almost went and got from the library. Then I saw a comment underneath this tweet by Ehud Lamm saying “A more gentle, short introduction to Waddington’s thought, and a fun read in general, is his The Nature of Life. A gateway drug, if you will.” Ha, I thought, that’s wonderful. I am interested in ‘the meaning of life’, in Waddington and in epigenetics (and the public understanding of it, in particular one ‘public’, namely social scientists). So I bought a second hand copy of the book. 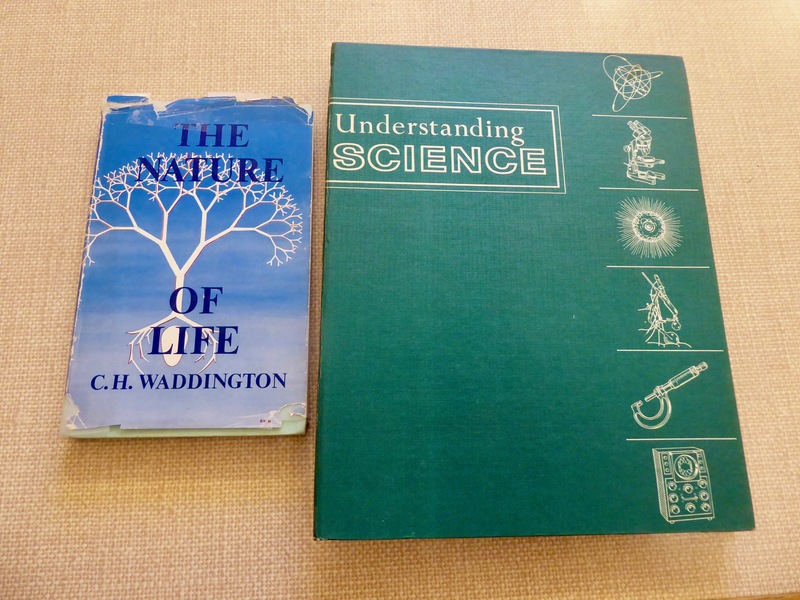 Waddington’s book was published in 1961. I started to read it over my muesli in the kitchen and made appreciative noises. As I normally just swear loudly when reading stuff, my surprised husband asked what I was reading. I told him. He said “Ah, chreods“. I looked in the index and indeed there they were (spelled ‘creodes’ in this book), but I haven’t come to them yet. I can’t wait! I closed the book and my eyes fell on the inside of the book cover. It said: “This short book is an attempt to throw a bridge across one stretch of the gulf which, we are told, separates the ‘Two Cultures'”. Interesting, I thought. Then I looked at the other ‘flap’ of the cover and I saw the phrase ‘Scientific Book Club’ and underneath a series of famous names of ‘men of science’ (no women, of course) who had written for this series of books. I said: “Ah, scientific ‘book clubs’; that’s how my father became interested in science after the war. I wonder whether anybody has written about this in the context of the history of science communication.” Has anybody studied that? 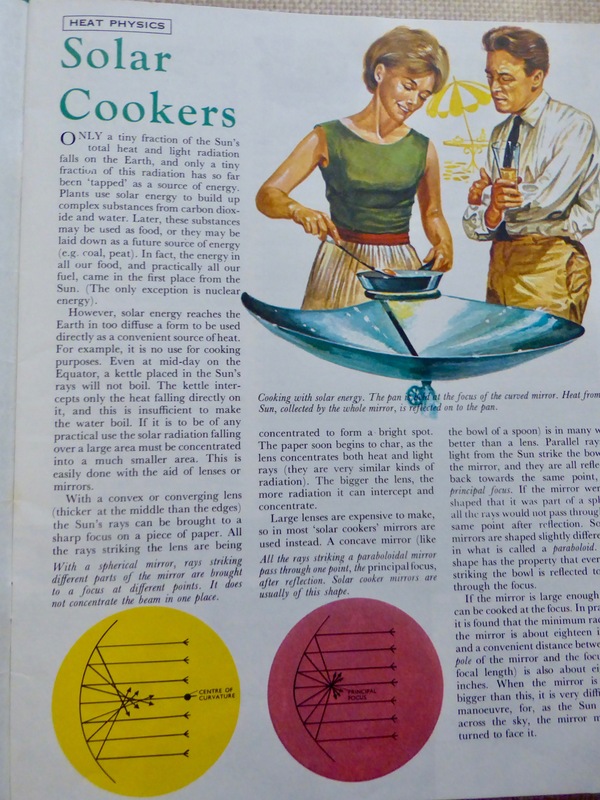 Then my husband said: “Ah, have you seen the magazines I collected in the early sixties called ‘Understanding Science‘?” “NO!”, I squeaked in a rather shrill voice, almost spluttering my muesli over the Waddington, “Show me!” We have been married for over 30 years and I had never seen them! He dug them out of a dark corner (he has the whole set, but we only looked at one binder full of magazines) and…. just look, aren’t they amazing!! 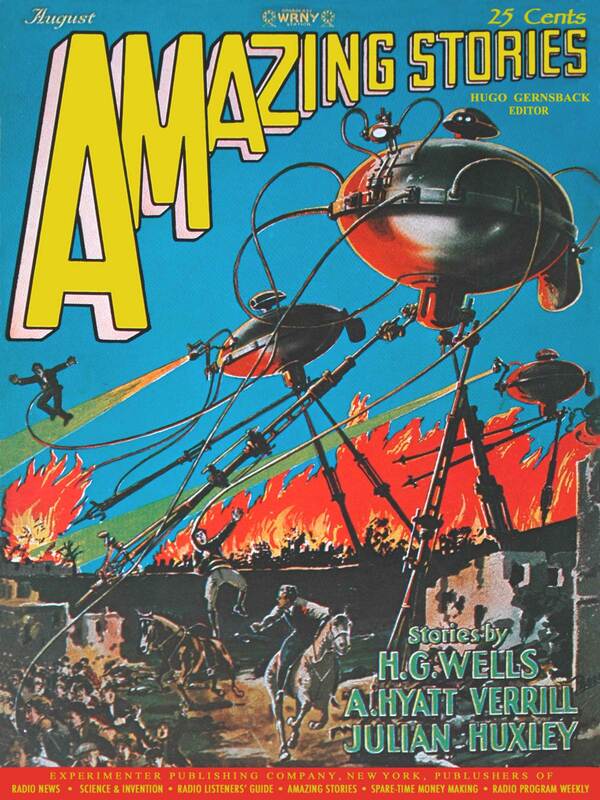 Amazing science stories illustrated in the style of …Amazing Stories! The images and stories are exciting, entertaining and informative (the editorial board, again, contains a list of eminent scientists). The articles draw you in, verbally and visually. 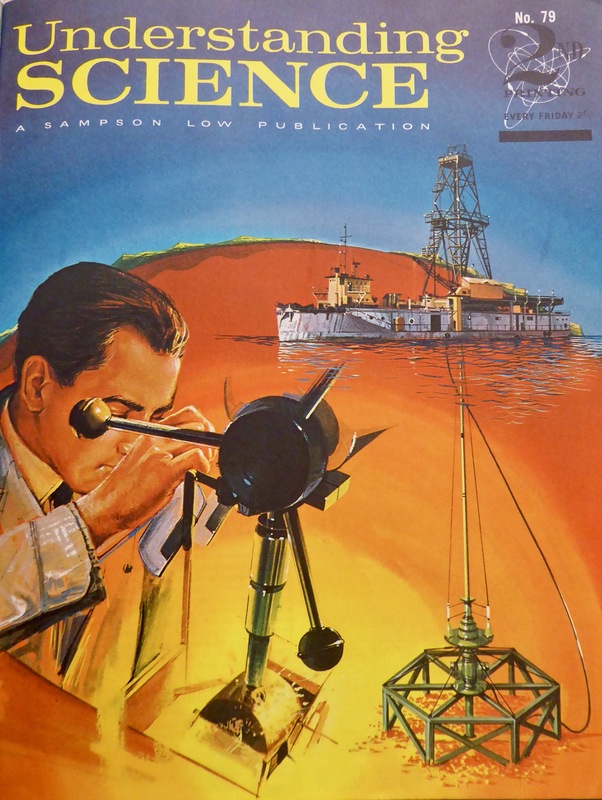 I wonder how many young people got interested in science through reading these magazines. Of course, these young people were predominantly male. I should write another blog post about the depiction of women in theses magazines. They cook (see image below), they clean, they get their eyes tested etc. but they don’t ‘do’ science. “Even today there are too many people to whom the word [science] suggests the ‘bug-eyed scientists in a white coat’ [see depiction in ‘Understanding science’, for example! ], or the animate calculating machine only by courtesy flesh and blood, who spends his time processing data according to the rules of an inflexible and almost super-human logic. But the ordinary scientist, or even the extraordinary one, is neither a ‘commissar square’ nor a ‘beat yogi’. * He is not in the slightest a creature that stands outside the ordinary community of mankind. I fact, in many ways he is more than most intellectuals a social being.” But, of course, he is not a woman! “It is one of the most important characteristics of science that it is not the creation of one man, or even of a succession of individual men. Basically, in essence, and all through and through, it is something which has been produced by co-operative effort. […] This communal, co-operative nature of scientific endeavour is one of its major sources of strength.” (pp. 14-15, of the 1961 hardback edition). I am glad that this cooperation now includes women. But there is still a lot to do there, cooperatively! 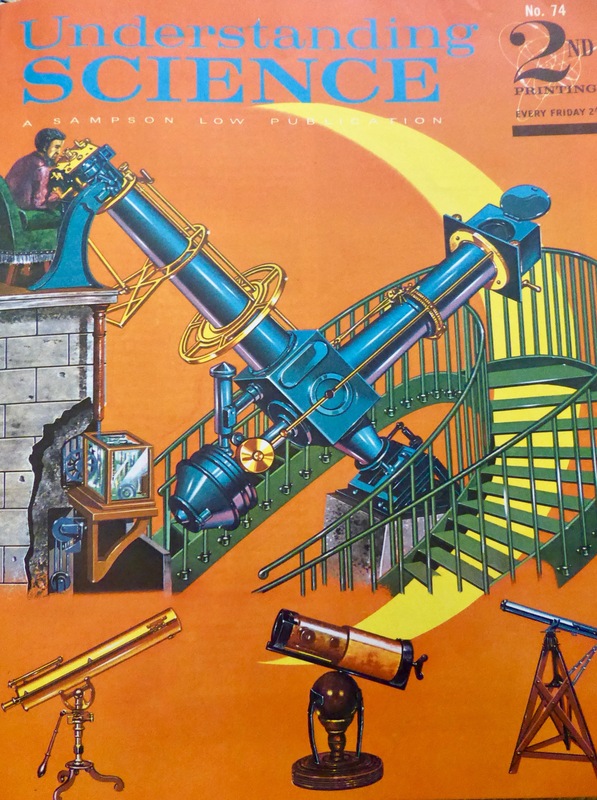 When doing this we should however not forget the good work done by scientists like Waddington in making science accessible and understandable, and the efforts put into creating excitement around science through endeavours such as ‘Understanding Science’ – one of the many ways of ‘making science public’. *If anybody knows what Waddington means by that let me know! It is amazing how fast language changes! I guess Waddington tried to be down with the kids there! Frank Norman has provided one hint here.